The OSIRIS-REx team also didn't anticipate the number and size of boulders on Bennu’s surface. From Earth-based observations, the team expected a generally smooth surface with a few large boulders. 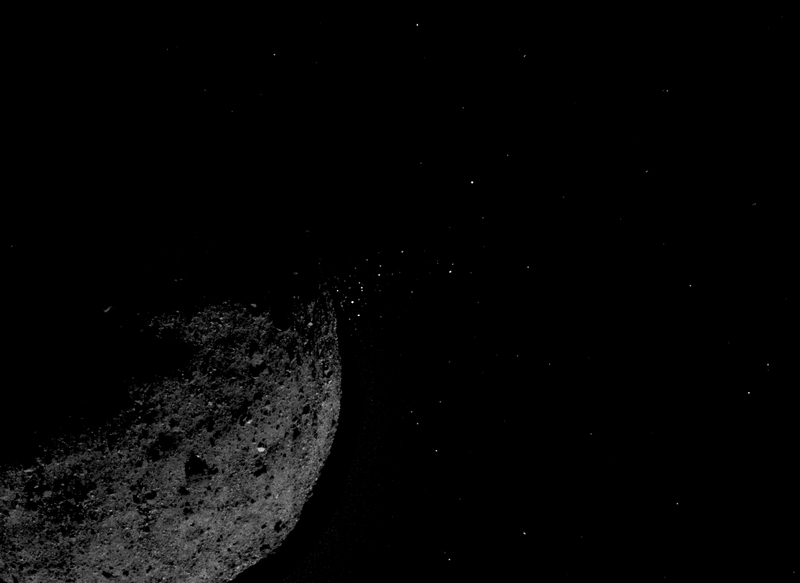 Instead, it discovered Bennu’s entire surface is rough and dense with boulders. The higher-than-expected density of boulders means that the mission’s plans for sample collection, also known as Touch-and-Go (TAG), need to be adjusted. The original mission design was based on a sample site that is hazard-free, with an 82-foot (25-meter) radius. However, because of the unexpectedly rugged terrain, the team hasn't been able to identify a site of that size on Bennu. Instead, it has begun to identify candidate sites that are much smaller in radius. The OSIRIS-REx science team has made many other discoveries about Bennu in the three months since the spacecraft arrived at the asteroid, some of which were presented Tuesday at the 50th Lunar and Planetary Conference (#LPSC2019) in Houston and in a special collection of papers issued by the journal Nature.